Bob Taylor was a curious and inventive lad by nature and by the time he was a freshman in high school, he had constructed his first guitar: a twelve-string. Two more guitars were subsequently designed and assembled by the time he had graduated from high school but this was only the beginning of his love affair with the inception and construction of high quality guitars. 1973 brought Taylor to the "American Dream," a small guitar shop in Lemon Grove California which not only compelled him further in his search for insight into the world of guitar construction but also introduced him to an individual by the name of Kurt Listug. Listug also worked for the American Dream and when the owner opted to sell out, he and Taylor jumped on the opportunity to start their own business. Taylor and Listug brought another man aboard by the name of Steve Schemmer and the three of them purchased the American Dream and renamed it "Westland Music Company." In 1976, the three decided that Westland was a little too long to fit on the headstock so the company was renamed Taylor, in lieu of its brevity as well as its American sounding connotation (as compared to Listug!). The Taylor 455 CE 12-string has a solid Sitka Spruce cutaway body with multi-ringed rosette and white binding, and Ovangkol wood back and sides. Ovangkol is a beautiful tone wood indigenous to West Africa that shares tonal qualities with Rosewood but with a more lively treble representation similar to Mahogany or Walnut. 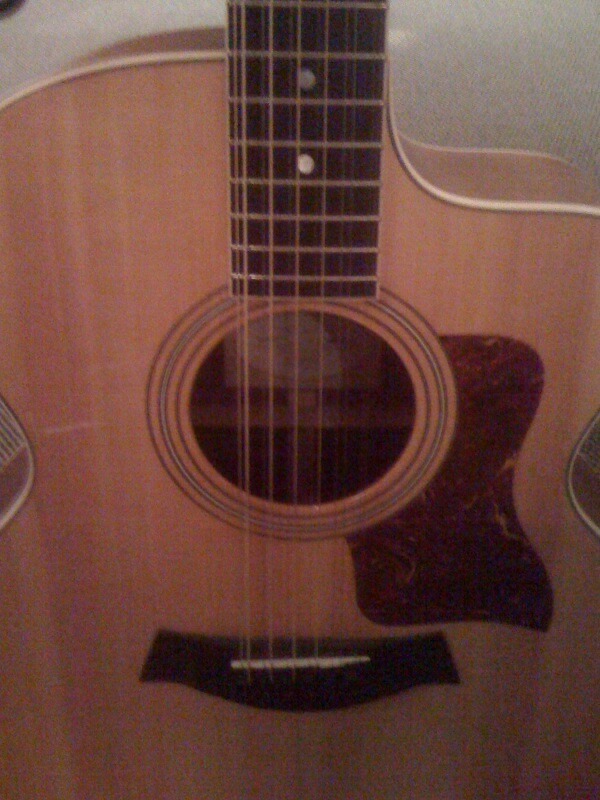 The guitar's neck is composed of Tropical American Mahogany while the fingerboard is made of darkest ebony wood, interrupted by large pearl inlay dots. The bridge is also made of ebony and the nut and saddle are both composed of Tusq. The headstock is finished nicely with chrome tuners for that extra special touch. Scale length of the 455 CE is 25.5", length of the body is 21" and the width is 17". 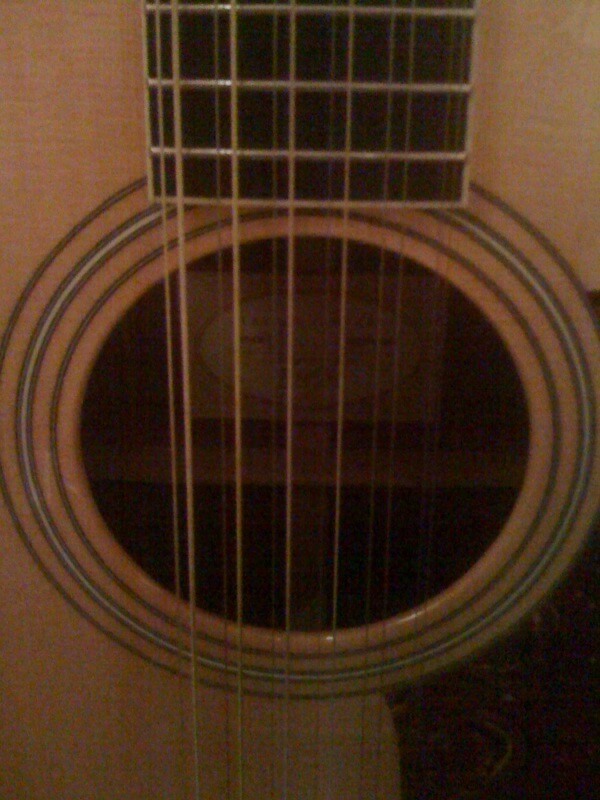 The guitar is 4 5/8" deep and the overall length is 43". 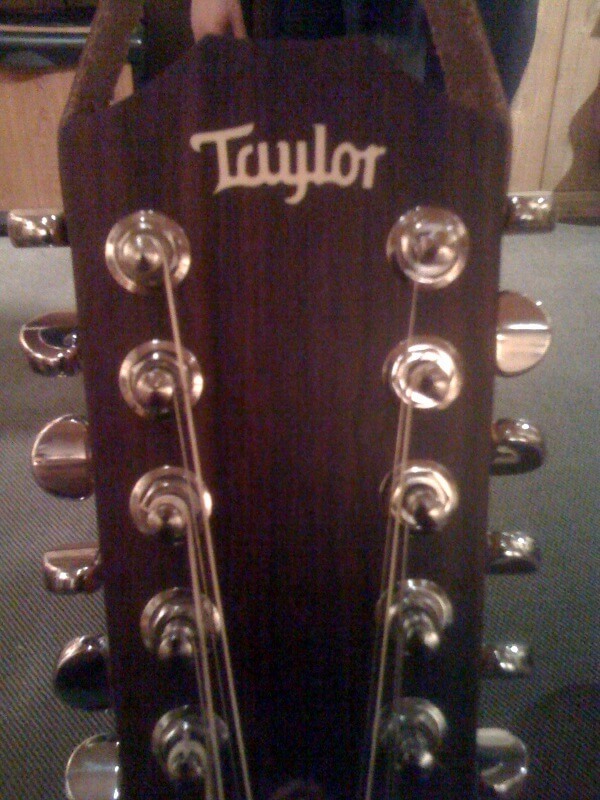 Taylor often seals their guitars in two different finishes and this model is no exception to this rule. The body is finished with satin while a gloss treatment is used to seal the top. In addition, the Taylor Expression system is included with this model giving the guitar top-notch high-fidelity acoustic amplification. Pricing Retail price for the Taylor 455 CE is currently around $2768 although the one I had the pleasure of playing was on consignment, and going for about $1500. Taylor's high-end guitars are incredibly well-made and incorporate only the finest of materials constructed under the most rigorous standards. Consequently the pricing is really not unreasonable especially for someone who wants to make the jump to a high-end performance quality guitar with an impeccable sound reproduction system already included. Unreal, full booming beautiful and bell-ringing sound! The 455 CE sounds predominantly in the treble range but still incorporates mid and bass tones nicely, albeit somewhat muted. The action is smooth and perfect all the way up to the top frets and the guitar resonates as if it were plugged in, even when it's not. The sound is full and bright and cheery and without a hint of opacity or muddiness. It doesn't surprise me that Taylor modeled some of their instruments after Guild because I found this guitar similar in feel as well as sound to many of the Guild 12's that I've played, including my own. A little pricey, yes, but for the player who wants a high quality 12-string that is perfect for playing on the back porch, or performing in front of thousands the 455 CE will satisfy all comers.